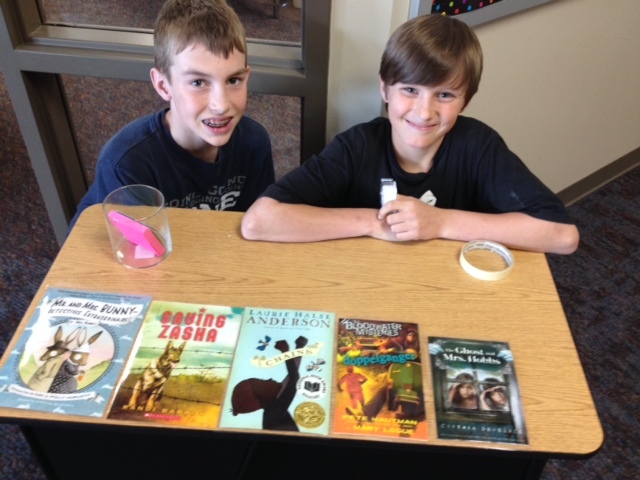 Sixth grade students have demonstrated their love of reading by delving into new authors and titles. At Hopewell, we frequently talk about being 'A Culture of Readers'. These students have immersed themselves into creating a vision and a plan that will align their own reading passions, with a unique idea that will inspire others as well. We have also formed a TED ED club to document our journey and support others around the world as we seek to make a difference. Our ideas are coming to life. We invite you to share our excitement in bringing books alive, connecting readers and authors and talking about great literature. Below are some examples of their work in action. Abby's Culture of Readers project from Beth Campbell on Vimeo. IMG 0124 from Beth Campbell on Vimeo. Alex will be meeting with individual students to assist them in finding books that align with their interests. Click here to fill out a reading survey. If you would like to give Alex feedback regarding his form, please click here. Alex's idea to help students find books to read from Beth Campbell on Vimeo. Kellen and Luke have created a web page in which students can find a great book to read for every week in the year. The site also allows students to take quizzes, answer questions and learn more information about the author. Beezus and Ramona from Beth Campbell on Vimeo. Each month, Paige and Gabby are featuring an author. Jennifer L. Holm was the focus for March and Lauren Tarshis was featured in April. In May, we're starting to get ready for Mary Amato's visit to Iowa next November. ​work of these two students. Morgan orchestrated an after school event in which students participated in games and crafts. They also watched movie trailers she had designed. The purpose of this great event? To promote reading classic literature. Titles included: Anne of Green Gables, Journey to the Center of the Earth, Secret Garden, Adventures of Huckleberry Finn and Tom Sawyer. Characters from the books were also on hand to help bring the books alive. Morgan created an awareness and excitement within Hopewell for reading these great books. Learn about Santosh Yadav and how she made a difference in the world. Click on the book to hear Gretchen's thought provoking ideas after​reading the book. Click on the link to hear Gretchen's powerful message.